*Standard pressing. 11 tracks total. 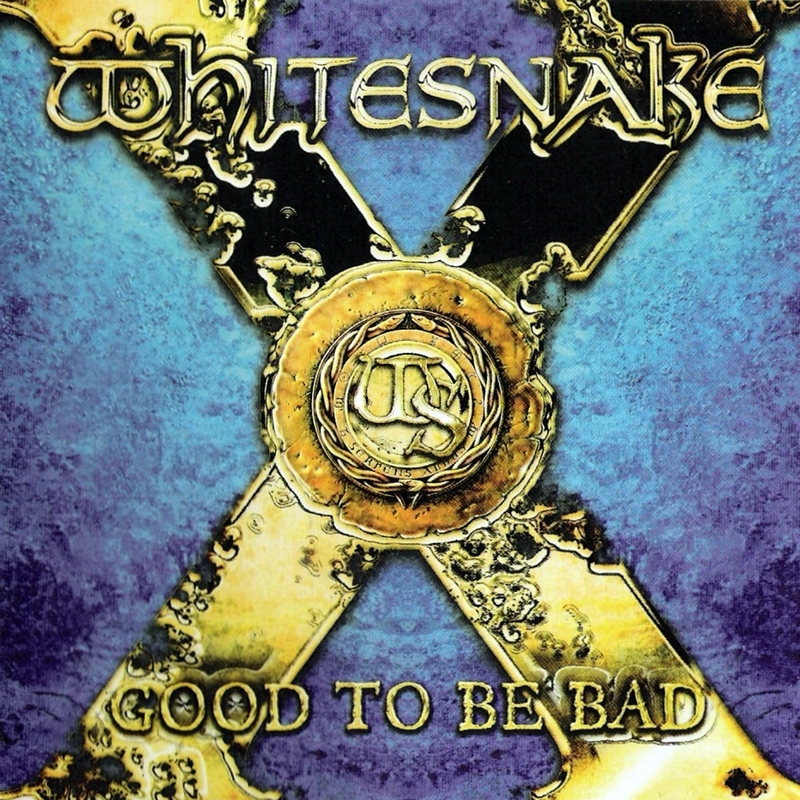 Good to Be Bad marks Whitesnake's 30th anniversary as a band -- though frontman David Coverdale is the only original member. It's their first studio album since 1998's Restless Heart, which was never released in the United States. The current incarnation of Whitesnake is Coverdale, guitarists Doug Aldrich and Reb Beach, bassist Uriah Duffy, keyboardist Timothy Drury, and drummer Chris Frazier. Frazier is the band's newest member; the others appeared on 2006's Live...In the Shadow of the Blues. This is a seasoned road group, but it remained to be heard if they could pull it off in the studio. The answer is hell yes! Listening to this wondrous racket, it seems strange that such a timeless sound has vanished from mainstream rock -- guitars just don't sound like this on records anymore. What's really weird is that this sound, as seemingly "retro" as it is in recalling the 1980s, is actually a real alternative to what's on corporate radio in the 21st century. There are some outstanding cuts here. "All for Love," the album's centerpiece, contains a majestic power chord intro. It evolves into the big bad four-note riff that the tune hinges on. It's got a killer rough-and-rowdy hook in the refrain that's trademark Whitesnake. Another killer arrives with the wild unhinged blues licks that open "Best Years." The tune's riff is an inversion of the Allman Brothers' "Whipping Post," and the verse is based on the same changes. This tune is one of the hardest rockers to come swaggering down the stadium rock alley in a dog's age. "Can You Hear the Wind Blow" features enormous guitars and shimmering keyboards that contrast with the blues wail in Coverdale's voice. There is déjà vu here, too: the hook is reminiscent of "Rock You Like a Hurricane" by the Scorpions. Aldrich's guitar playing is a huge boon to the Whitesnake sound. He's obviously listened to Jimmy Page, and the slippery, knotty, and funky blues licks in tracks like "Call on Me" reflect that, but his sound with its effects pedals is more overdriven and bigger than life, offering the base for Whitesnake's core sound -- straight-out festival rock, y'all. This wouldn't be a Whitesnake recording without a power ballad, and "Summer Rain" is a beauty. Coverdale sings a country-tinged melody; he's all vulnerable singing above a washed-out meld of acoustic guitars and a gently but insistently swelling organ, kissed by cymbals and a bass drum. Of course, there's an enormous electric guitar solo near the end to bring it home. Coverdale's voice is lower in the 21st century, but just as effective in Whitesnake's brand of hard rock. "A Fool in Love" begins with the sound of a crackling vinyl record; it gives way to pure balls-out blues-rocker, with slide guitar in Brit metal overdrive. The closer, "'Til the End of Time," starts as an acoustic blues, but by the time the big tom-toms roll in and the keys weave through those guitars, it feels like something off Led Zeppelin III. Coverdale has always stuck very close to his blues-rock roots and continues to mine them; his brand of ROCK with chugging outsized guitars is palatable because of his reliance on crafting excellent choruses and hooks. It's a hell of a comeback and ranks right near the top of the Whitesnake catalog.